Happy Monday! 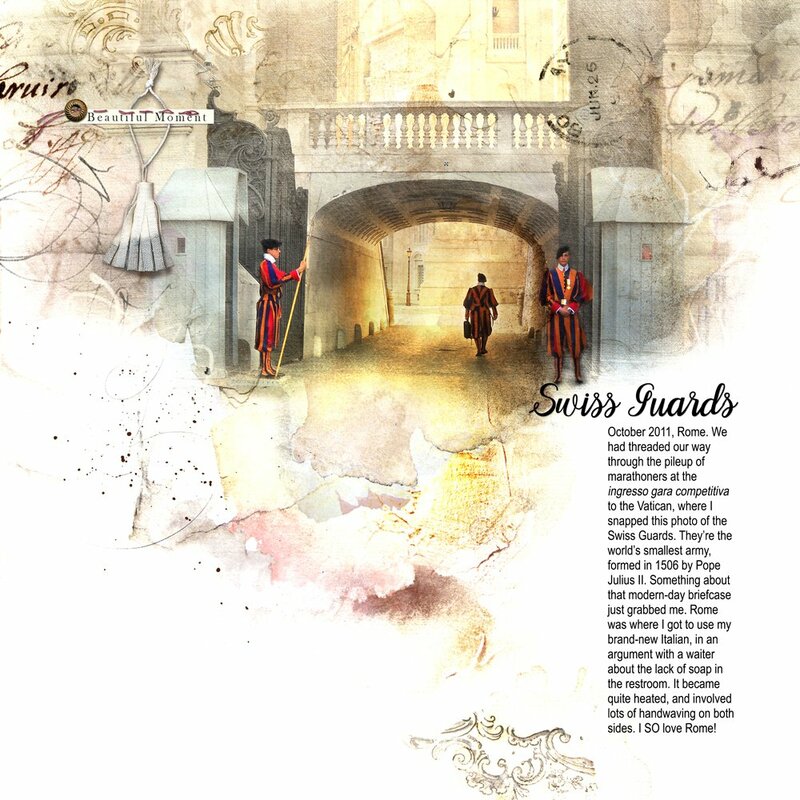 Today we’re sharing digital designs inspiration Florence. 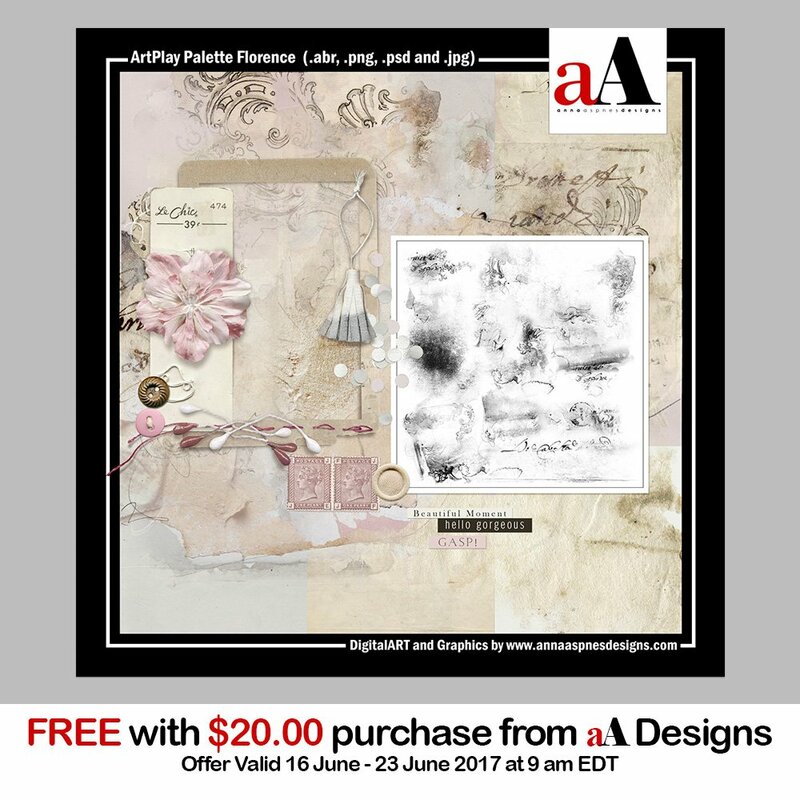 ArtPlay Palette Florence is the newest collection of digital designs for scrapbookers, photographers, artists and crafters to be released into the Anna Aspnes Designs store. The aA Creative Team members have been dabbling in a bit of creativity using ArtPlay Palette Florence and supporting DigitalART products. 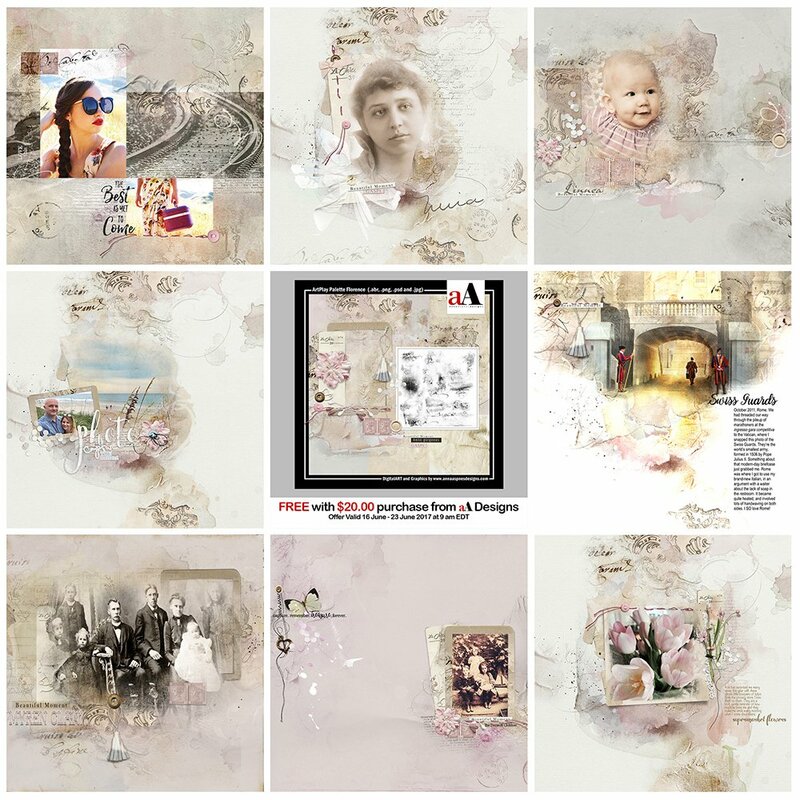 More digital designs inspiration Florence of course, can be located in the AnnaGallery. 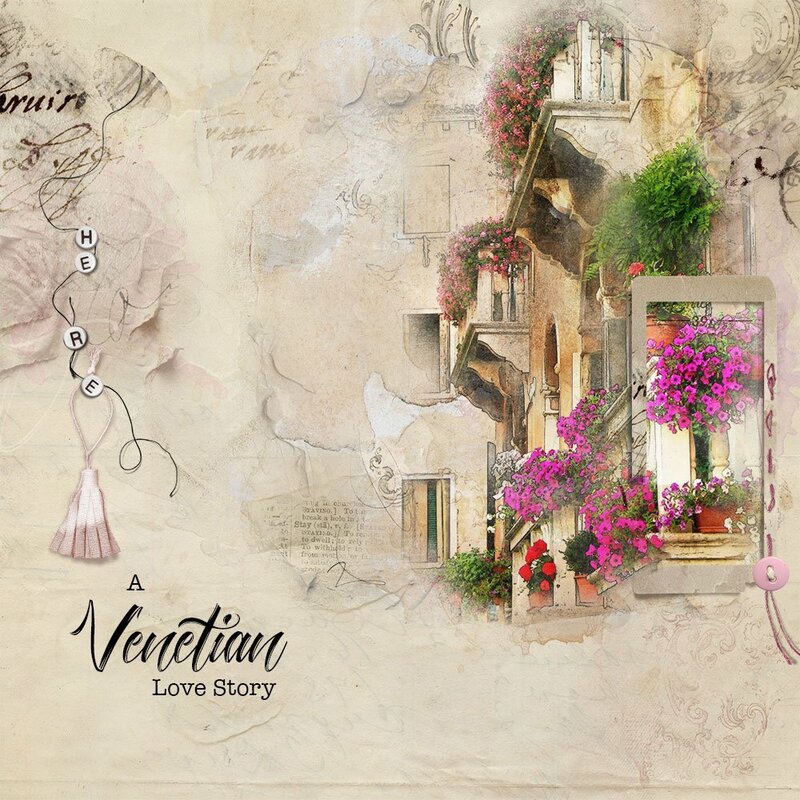 Click on the image below to view more digital designs inspiration ‘Florence’ or visit the AnnaTeam Layouts board on Pinterest. Combine 2 different Artsy Papers from the ArtPlay Palette of your choice. Place one paper on top of the other in the Layers Panel. Apply a Layer Mask to the top layer and blend with brushes as outlined in the aAdvanced Brushes in Photoshop course (also available for Adobe Photoshop Elements). You can also apply a Blending Mode, which mixes the pixels of one layer with an other to change the light and color properties of a design. Apply a quick and easy artsy sketch effect to your photo such as the one outlined in this video. Then blend your photo into the background using the same technique described above to blend the 2 Artsy Papers. Frame an area of the image to draw the eye and create a focal point. 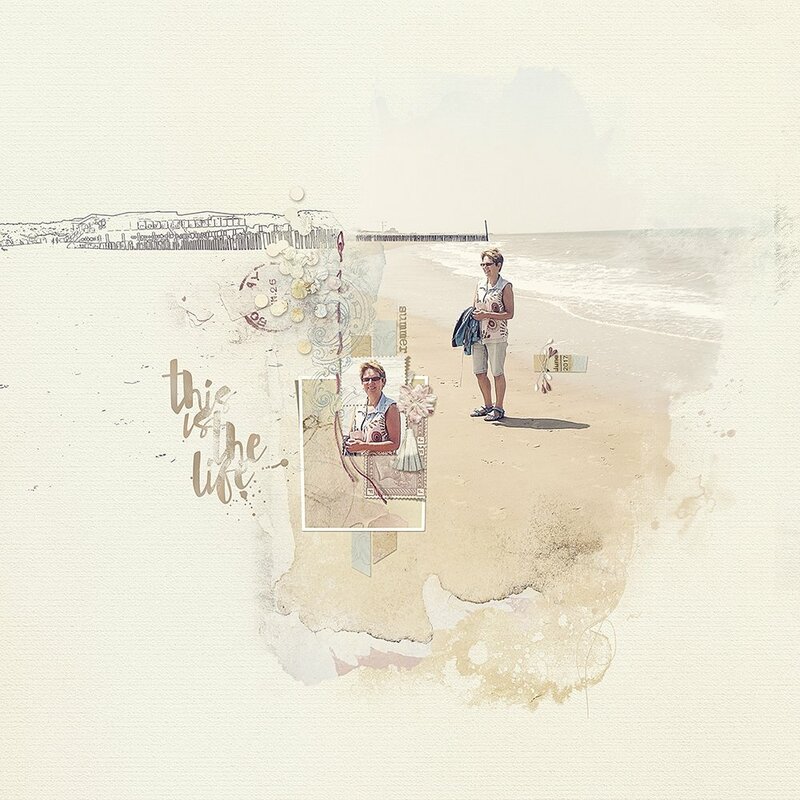 Use the areas of design in an Artsy Paper to define the edges of your blended image and contain your image. This is one of the key principles of my ArtPlay method which I am sharing in the aA Year of ArtPlay 2017. Learn more about this adventure here.